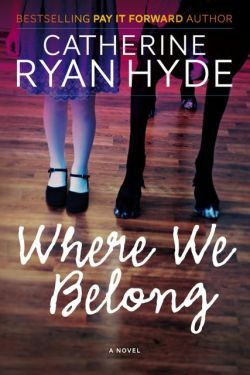 My newest novel, Where We Belong, has actually been for sale on Amazon (ebook and paperback) for a couple of months. But we postponed promoting it, or shouting about it, because there was so much going on with the two Amazon Publishing titles, When I Found You and Walk Me Home. If you don't know what was going on with them, click back a post or two. Now. Where We Belong's time has come. Hopefully you know by now that Kindle books can be converted for Nooks and other ereaders, and that you don't need an ereader at all to take advantage of this offer. Go grab a copy, and let me know what you think!